How Should America Try Terror Suspects? Flight 253: Too Much Intelligence to Blame? 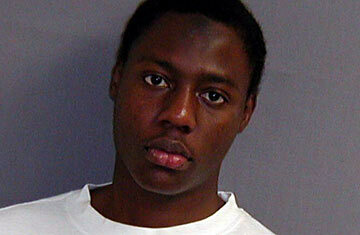 In the days since passengers overpowered Umar Farouk Abdulmutallab aboard the Detroit-bound jet he allegedly tried to blow up on Christmas Day, almost every aspect of the case  from Abdulmutallab's absence from no-fly lists to the handling of intelligence from Nigeria  has been the focus of fierce criticism of the Obama Administration. On Thursday afternoon, President Obama outlined preliminary reviews of the intelligence failings that allowed Abdulmutallab onto the Amsterdam-to-Detroit jet and laid out additional steps to fix those shortcomings. Reporting that a systemic failure allowed the bombing attempt, he said he was ultimately responsible and made a plea for unity, a tacit acknowledgment of the sharp accusations that have been made since the thwarted attack. "Now is not the time for partisanship. It's a time for citizenship," he said. But partisanship hasn't stopped with the issue of security. The decision on Wednesday by a federal grand jury in Michigan to return a six-count indictment against Abdulmutallab might ordinarily have been a routine step in a criminal prosecution. But it has only stoked the debate over whether Abdulmutallab should have instead been handed over to the military. Critics ranging from Bush Administration officials to former Alaska governor Sarah Palin argue that President Obama should have designated Abdulmutallab an enemy combatant  a term abandoned by the Obama Administration last year  and ordered him held in military custody, to be eventually tried by a military commission. That would have stripped the Nigerian of his immediate right to an attorney and allowed interrogators extra time to question him for intelligence purposes without the hindrance of a Miranda warning. The enemy-combatant option, however, raises a host of thorny legal questions. Since Sept. 11, only two terrorism suspects arrested on American soil  Jose Padilla and Ali Saleh Kahlah al-Marri  have been designated as enemy combatants; the remainder were captured overseas. Both men were held for years in an offshore Navy brig, as challenges to their detentions dragged through the courts. The legality of their detention on those terms has never been cleanly settled. Just days before the Supreme Court was scheduled to hear arguments in Padilla's case in late 2005, the Bush Justice Department moved the case to federal court in Miami, where Padilla was convicted of providing material support to terrorists and other charges. The Obama Administration followed suit by moving al-Marri's case to federal court shortly after taking office  the suspect pleaded guilty last April to conspiracy to provide material support to al-Qaeda. By contrast, Richard Reid, whose December 2001 attempt to bring down a transatlantic flight with explosives hidden in his shoe closely resembles the charges made in the indictment against Abdulmutallab, was tried in civilian court. Former Massachusetts U.S. Attorney Michael Sullivan, whose office prosecuted the "shoe bomber," recalls no discussions about designating Reid an enemy combatant and doubts that the legal mechanisms to do so were even in place at the time. But had the shoe-bomb attempt occurred a few years later, Sullivan says, Reid might well have ended up facing a military tribunal. "From an intelligence-gathering perspective, there is no advantage to using the civil courts to charge, prosecute and potentially convict national-security threats," Sullivan says. Steven Cash, a former CIA intelligence officer and a co-chair of the D.C. Bar Association's Committee on National Security Law, Policy and Practice, believes that the Administration made the right decision in taking Abdulmutallab's case to federal court. "The argument that trying someone in a civilian court is a show of weakness is frankly outrageous," he says. "It is what we are proudest of and where our strength comes from." Administration officials have repeatedly pointed out that Abdulmutallab has already provided valuable intelligence, and Justice Department spokesman Dean Boyd cited the successful prosecution of Reid, among others, to argue for the effectiveness of civilian courts in tackling such cases. Had Abdulmutallab been held as an enemy combatant, Boyd argues, he would have challenged his detention and eventually gained access to an attorney. "There is no precedent for any action but charging Abdulmutallab in federal court," Boyd said in an e-mailed statement. Gregory McNeal, a visiting assistant law professor at Pennsylvania State University's Dickinson School of Law and a former adviser to military prosecutors at Guantánamo Bay, however, argues that the two options are not mutually exclusive. The Administration could have designated Abdulmutallab as an enemy combatant for a very short duration to allow for his interrogation, and then moved the case back to federal court, which he believes is the proper place for such a trial. McNeal admits that the proposal would likely infuriate civil libertarians but could provide the best of both worlds. While he believes it's too late to follow that course in the Abdulmutallab case, it could be done in future terrorism cases. "Why not have the most fair of the two trial proceedings and also have an opportunity to have the most intelligence to keep the American people as safe as possible?" he says.